We make lots of friends through our work. It’s because we’re approachable — we like people! When one of our project superintendents noticed a curious boy and his mom walking by the construction site a few times, he introduced himself and showed them around. That’s how it goes at Tarlton. We love to build. Tarlton builds futures for our clients, our team and our community by providing value in a complex environment. We conduct our business with safety, quality, integrity and enthusiasm. Tarlton has been helping build St. Louis since 1946, when Arthur Elsperman and three partners bought G.L. Tarlton Contractor Inc. In 1972, Robert Elsperman succeeded his father as company president, the firm assuming its present-day name in 1978. The third generation stepped up in 1999, when Tracy Elsperman Hart was named president and Dirk Elsperman became chief operating officer. Today, with Let’s Build as our motto, Tarlton is an Engineering News-Record Top 400 Contractor and a WBENC-Certified Women’s Business Enterprise that employs 350 people and excels in complex new construction and renovation. Tarlton is deeply rooted in St. Louis and remains committed to making the region a better place to live and work, taking pride in our enduring relationships, community service and contributions to the built landscape. The firm is humbled by the history it has helped shape and motivated by the exciting frontiers St. Louis is embracing. 1940s – The decade provided a post-war surplus of construction equipment and marked the beginning of Tarlton’s long-lasting relationship with Ameren, Anheuser-Busch and McDonnell Aircraft Corp., among others. 1950s – Wohl and Renard Hospitals; Pope Pius XII Memorial Library at Saint Louis University; Steinberg Addition to Jewish Hospital. Art Elsperman elected first chairman of the Associated General Contractors of St. Louis. 1960s – Pet Inc. Headquarters, city’s first architectural concrete project; Steinberg Hall at Washington University in St. Louis, first tower crane used in the city; Brown Shoe Co. headquarters; Bissell Point Primary Water Treatment Facility; Busch Stadium West Parking Garage. 1970s – Southwestern Bell Olive Toll Street Building; McDonnell-Douglas harpoon missile facility, early design-build; multiple hospital projects; WU Mudd Law Building; Monsanto Queeny Plant renovations; Kiel Parking Garage. 1980s – St. Louis Centre; Anheuser-Busch projects; Laclede’s Landing projects, including Witte Hardware Building; St. Louis County Water Treatment Facility; St. Anthony’s Medical Center; interior renovations at Mart (now Robert A. Young) Building. 1990s – Additions to St. Louis County Library headquarters; Novus Research and Development Facility; Famous-Barr at Jamestown Mall; Lincoln University Library. 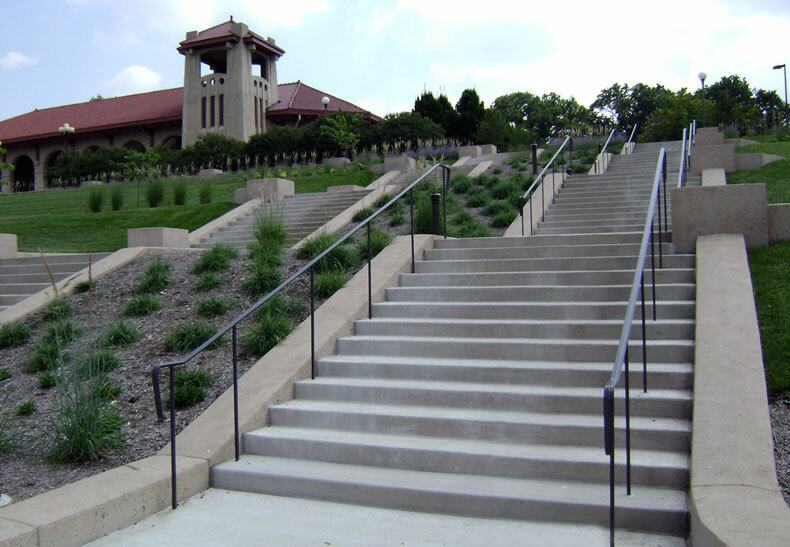 2000s – First LEED project in city: Earth and Planetary Sciences Building (now Rudolph Hall) at Washington University in St. Louis; WU Knight Executive Education Center; first LEED Silver project in city: Tarlton Corp. headquarters; Contemporary Art Museum; Nordstrom at West County; critical first phase of Cross County MetroLink Expansion; projects at The Muny and Saint Louis Zoo. 2010 and beyond – New National Personnel Records Center for General Services Administration; Nordstrom at Saint Louis Galleria and multiple Nordstrom Rack stores; Barnes-Jewish Center for Outpatient Health; Saint Louis Art Museum Expansion (East Building); 700 Market St. historic renovation (new Spire headquarters); Hawthorn Leadership School for Girls; Monsanto Chesterfield Village Parking Garage; WU Olin Business School Expansion; University of Missouri-Columbia Lafferre Hall Renovations and new Softball Stadium Complex; Wexford @4240 (4240 Duncan Ave.), 4260 Forest Park Ave., 4220 Duncan Ave., BioGenerator expansion; Missouri Botanical Garden Museum Addition and Renovation.